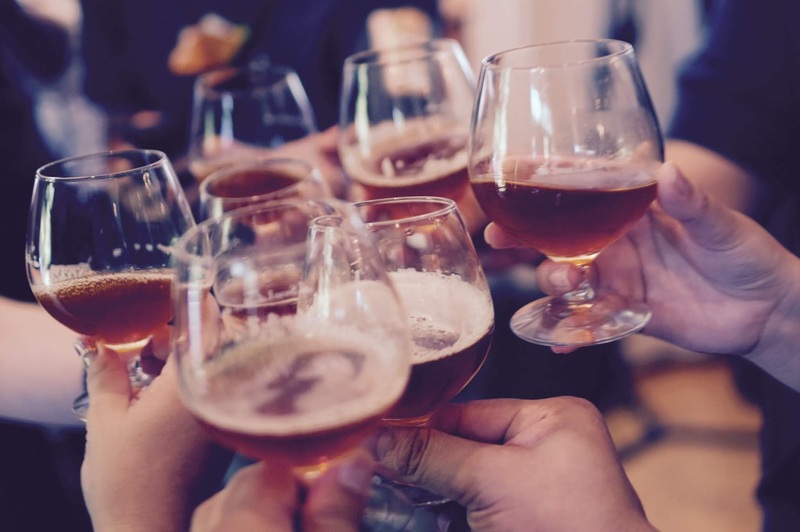 Although moderate alcohol consumption is considered safe for adults, research into the link between alcohol consumption and leading cancers has found that there is a correlation between the amount you drink and your risk of developing certain cancers. This is not to say that you should stop drinking, since occasional imbibing may provide a protective effect. In fact, recent research that followed 99,654 individuals found that those who never drink or those who drink infrequently have increased risk of death or developing certain cancers, along with those who are heavy drinkers. 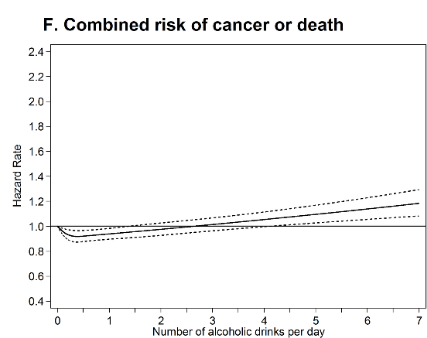 To be clear, the heavy drinkers had the highest risk of mortality or developing cancer, while the light drinkers had the lowest risk of mortality or developing cancer. 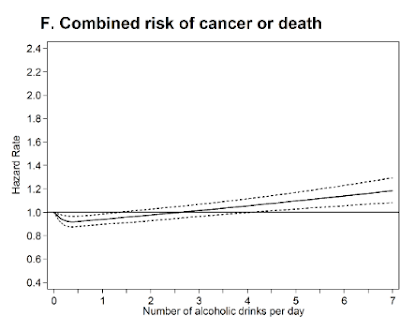 As drinking increased, the risk of alcohol-related cancers and death increased, too. The lowest risk was observed "at intakes between 1 and 5 drinks per week." The study was led by Dr. Andrew Kunzmann from the School of Medicine, Dentistry and Biomedical Sciences at Queen's University Belfast, and the results were published in PLOS Medicine. What Constitutes a Drink, and What is a Light, Moderate, and Heavy Drinker? A drink, according to the National Institute on Alcohol Abuse and Alcoholism, is either "12 ounces of beer, 8 ounces of malt liquor, 5 ounces of wine, 1.5 ounces or a 'shot' of 80-proof liquor." How Does the New Research Compare with Current Alcohol Consumption Guidelines? The American Society of Clinical Oncology states that someone who is a light drinker of alcohol increases their risk of "head and neck cancers by 13 percent, while heavy drinking increases risk by over 500 percent," and "breast cancer risk increases 4 percent with light drinking, and rises 61 percent with heavy drinking." According to the guidelines set out by the federal government of the United States, a light drinker is someone who consumes one drink per day or less, whereas a moderate drinker will have one or two drinks per day, and a heavy drinker will have anywhere between eight to 15 drinks per week, or more than four drinks per day. The National Cancer Institute's fact sheet states that with colorectal cancer, individuals who consume 3.5 drinks per day will have "1.5 times the risk of developing colorectal cancer" compared to nondrinkers, whereas a light drinker who consumes 10 grams of alcohol per day experiences "a small (7 percent) increase in the risk." For breast cancer, there are similar statistics: "women who drank more than 45 grams of alcohol per day (approximately three drinks) had 1.5 times the risk of developing breast cancer." There was a seven percent increase for those who drank 10 grams, or less than one drink. Finally, for head and neck cancers, "people who consume 50 or more grams of alcohol per day (approximately 3.5 or more drinks per day) have at least a two to three times greater risk of developing these cancers." How Does Too Much Alcohol Increase Your Cancer Risk? Alcohol is a known carcinogen, and alcoholic drinks can contain a wide variety of carcinogenic substances — such as phenols, hydrocarbons, asbestos fibres, and nitrosamines. But as with anything, it's the dose of the substance that makes it carcinogenic (cancer-causing). It will generate unstable molecules that react easily with other cell molecules. These are known as free radicals. These types of molecules can cause major damage to proteins, DNA sequences, and fat cells via oxidation. An over-consumption of alcohol can lead to the body having a difficult time breaking down nutrients like vitamin A, B, C, D, and E.
Alcohol can increase how much estrogen is in the bloodstream, increasing the risk for breast cancer. 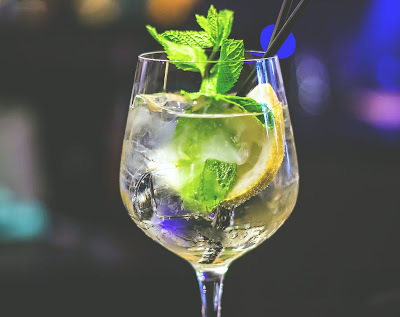 The body takes the ethanol in alcoholic drinks and breaks it down or metabolizes it into acetaldehyde — a toxin that can damage DNA sequences and cell proteins. The researchers of the above-mentioned study want readers to know that the evidence they provided is not to be taken as support for the protective effects of light drinking. More research is needed to draw firmer conclusions. Their research may, however, inform future health guidelines in important ways.